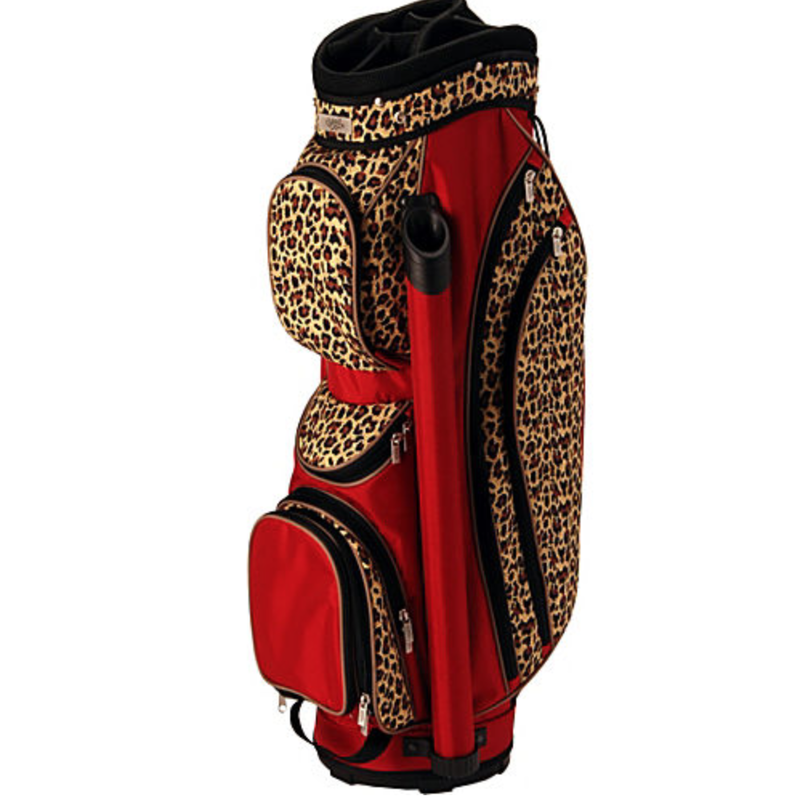 Add a sense of personal style to your golf game with this leopard print golf bag from Glove It. The Glove It Leopard Glove It Sport Golf Bag is made from polyester fabric and features a unique design with an allover leopard print, contrast pop color accents and trims, and multiple pockets for organization. This golf bag includes 14 full length club dividers, an external putter tube, a holder for your scorecard, tees, and pencil, a cell phone pouch, an umbrella sleeve, and a variety of zippered pockets to hold golf balls, gloves, clothing, and other must have items. Other features of this bag include a see through rain hood cover and a thermal lined cooler pocket for beverages. 8 full length dividers, a non-slip easy lift handle system, a see through rain-hood cover, an external putter tube, a scorecard, tee and pencil holder, a viewable cell phone pouch and an umbrella sleeve. This bag also features seven easy access pockets (one valuable, two garment, one ball, two accessory pockets, and one thermal-lined cooler pocket).